Up first are the Brow Lift brow pencil and Legendary Brows gel. I selected the color Supermodel for both which is a good neutral-cool medium-deep brown. I have dark black hair but it has a lot of natural streaks of red and brown so pure black is often too harsh and some browns contain red which is a no-go for me. Supermodel is a deep enough to look natural on me and doesn’t look harsh. The Brow Lift brow pencil has beveled tip and it’s a twist up on one side with product and a brush at the other end. It has a slightly waxy feel which helps fill in sparse areas. The color and texture are really good and easy to apply. The Legendary Brows comes in a clear shade which I’ve tried and liked. I was really interested to try the tinted version which I like a lot better. It helps add a bit more definition in a natural way and does help to keep flyaways in place. Here’s what the Supermodel brow pencil and gel look like on me, since I have odd-shaped brows I usually go light with product because one swipe too much ends up looking really harsh. Foundation shade worn is the Becca Aqualuminous Foundation in Light and Beige mixed (review here), on the lips is MAC Lustre Lipstick from the Work it Out collection Testosterone (review here). It’s barely noticeable but on the cheeks is a sheer wash of the Charlotte Tilbury Filmstar Bronze and Glow duo in the lighter option (both options on the face here). Brow swatch comparisons: Diorshow Brow Styler in Universal Brown is my most-used brow pencil because it’s the easiest for me to use without overdoing it, Kevyn Aucoin Precision Brown Pencil Brunette is darker, Anastasia Beverly Hills Brow Wiz in Medium Brown has a bit more warmth, Tom Ford Brow Sculptor Espresso is my second most-used pencil because the color works for me, Glossier Boy Brow in Brown is a good one for natural brows and runs a bit lighter but still works for my dark hair, Tom Ford Fiber Brow Gel in Espresso is my favorite tinted brow gel because the tiny fibers help fill in the brow naturally, By Terry Brow Mascara in Dark Brown was my first tinted brow product which I’ve repurchased many times. If any of you want a more comprehensive brow post for natural brows let me know and I’ll put one together with thoughts on some powder formulas and tools I like. Let me know in the comments! Up next are the Full Fat Lashes Mascara in Glossy Black and the Life Changing Lashes curler. I’ve tried both and I think the mascara is just ok. I have super straight lashes so I need a lot of volumizing for them to show up. What I do like about the mascara is that it’s a true black, it doesn’t clump and is pretty good at not smudging. It doesn’t hold my curl and it doesn’t add much volume but everyone I’ve talked to about this in person loves this one. For the Life Changing Lashes curler I bought one a few years ago when her line launched. I no longer own it because it got so much use and wear I had to throw it away. I haven’t repurchased or looked at them since – not until this kit arrived for review. For some reason I feel like the one she has right now has been improved – it feels a bit larger in size and more hefty than the original (which I really liked). The one she has now is still very good. The curler portion seems to be larger but since I don’t have the original one I owned I can’t really compare – if you have purchased them before let me know if you think there’s a difference. It does a great job at curling without pinching. The rosegold finish is just so pretty! Last but not least is The Retoucher Concealer. This is a twist up with brush kind of concealer. I’ve owned #3 in the past and used it up but since then have gotten around 1 to 1.5 shade lighter in color. Of course now that I’ve been in Florida for a month now I’ve gotten a bit of a tan with the outdoors so I’m in between shades. Right now #2 works well to brighten the under eye area perfectly for me. It has medium smooth coverage and gives a natural looking finish. If you need more coverage I would say this is not the best for blemishes or dark spots. I used mine up to the end and planned on repurchasing but have a lot of other formulas I’m testing so never got around to it. Bottom line this is a great kit for easy to do brows. You can use the Retoucher under the brow bone to highlight or open up the eyes and also underneath to brighten. The soft emollient blendable texture makes for a nice natural look. 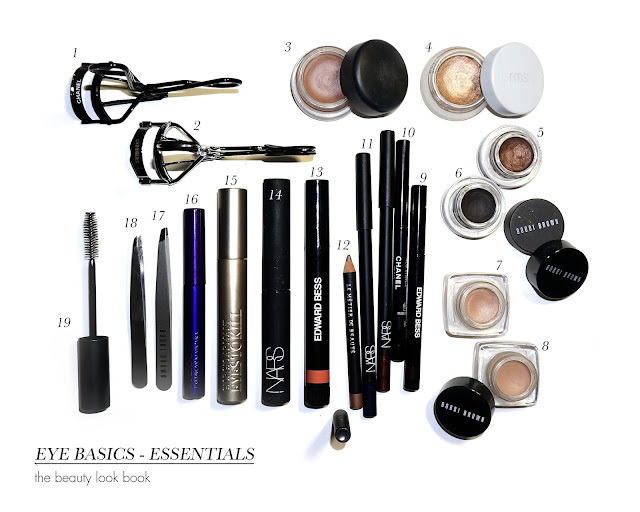 I love both of the brow products for a natural easy everyday kind of look. The only item I’m not crazy about is the mascara but I’m going to try experimenting with some primers and lash bases to see if I can try to make it hold the curl better. You can find the The Supermodel Brow Lift Kit online now at Charlotte Tilbury for $124. Have you tried any of these before? If so what did you think? If not do you have any go-to brow products? Brow kit provided courtesy of Charlotte Tilbury for review. 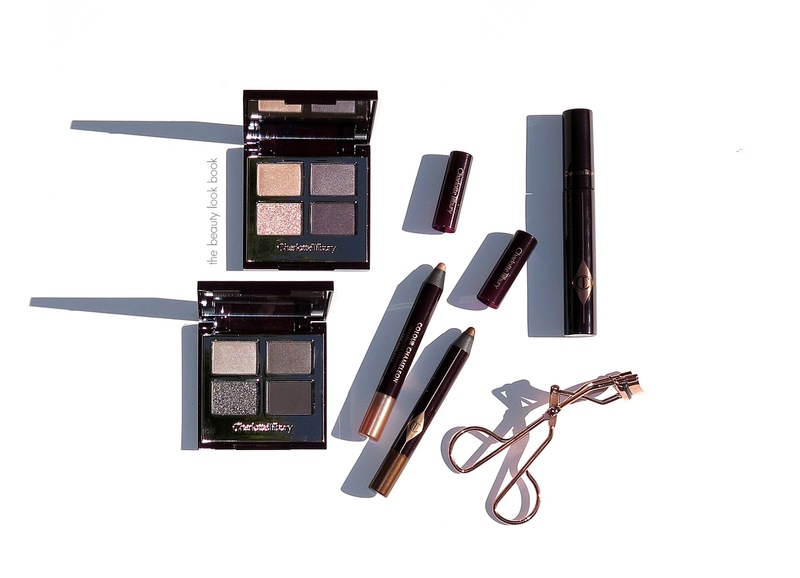 I’ve been playing with Charlotte Tilbury Beauty over the past month and have some items to share with you today. Included in today’s feature is a review on two of her eyeshadow quads, two shadow pencils, mascara and eyelash curler. I purchased two of the Eyeshadow Pencils in Amber Haze and Champagne Diamonds. These are creamy shadow pencils that set very quickly. I ordered mine sight unseen based on swatches I had seen on other blogs. They looked stunning online but I really should have read the reviews more closely. Amber Haze is a gorgeous warm shimmery copper brown. 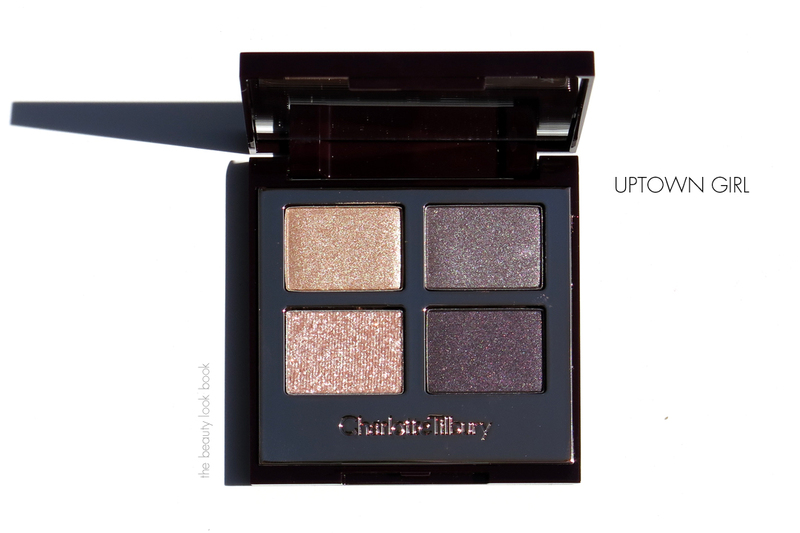 It applies very nicely on the eyes with super rich pigment. You do need to work with this one quickly because it sets (dries) very fast. When you apply these I recommend having all your brushes ready to blend right after you apply to smooth out harsh edges. Champagne Diamonds glitters like diamonds. This one didn’t work well for me, I found it too glittery and sparkly which made it extremely chunky/gritty feeling on my eyes. The base is pigmented if you pack the pencil on, but once blended it’s pretty sheer on me and all I saw was glitter. I ordered my quads from pre-made look sets. 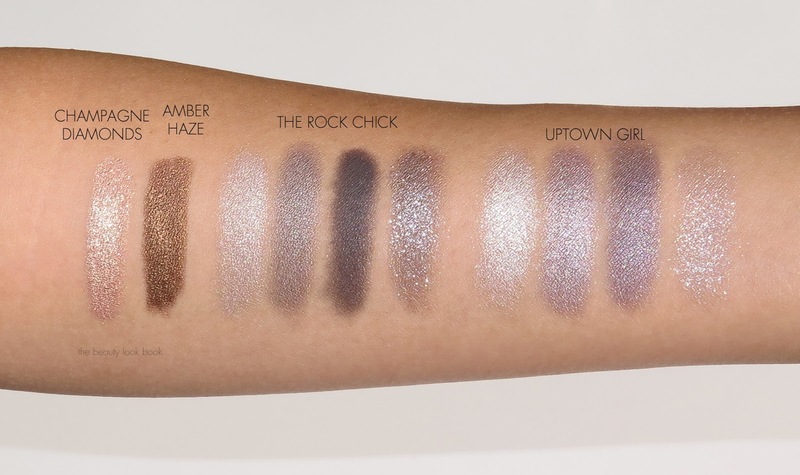 The Rock Chick is a smokey eye palette with a soft shimmery pale grey, a satiny medium grey, a deep matte charcoal and a glittery silvery shade. When I first saw these online I thought the glitter might be problematic for me and for all of those who prefer more conservative shadows. I was really surprised to find the glittery shade in The Rock Chick subtle enough to wear layered over the darkest shade for a pop of sparkle. The pigment of all the shadows is incredible, I was able to apply on the eyes and blend easily without any eye base required. The darkest matte charcoal color has a really good texture and allows you to get a good smokey eye. I did get some fall out when I applied the glitter on the face, but after it was applied to the eyes it stayed put. 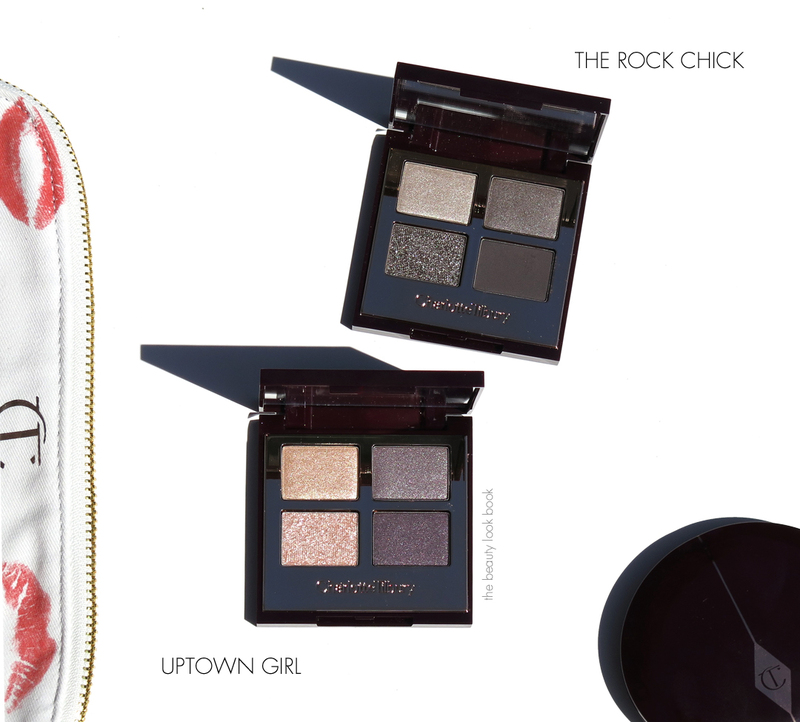 Uptown Girl is a cool-toned palette with a soft champagne shimmer, a lavender blue shimmer, a medium plum and a sparkling glittery pale pink. When I saw this one I suspected it might be too lavender/purple for me, but still wanted to give it a try. It’s a lovely palette but way out of my comfort zone with the purple tones. I definitely recommend you research swatches online on other blogs, purples tend to pull really purple on my skin while on others it might not look quite as blueish. The glitter in this one was a bit too much for me to wear comfortably but I suspect it was just the overall undertone of this palette I found too cool in general. Her eyelash curler comes in a rose gold color. I found it took a few uses to loosen the hinges (the first few times it seemed to stick when I pressed it together). It fits the curve of my eyes nicely so it doesn’t pinch the sides or edges. Her eyelash curler does indeed curl the lashes very nicely. 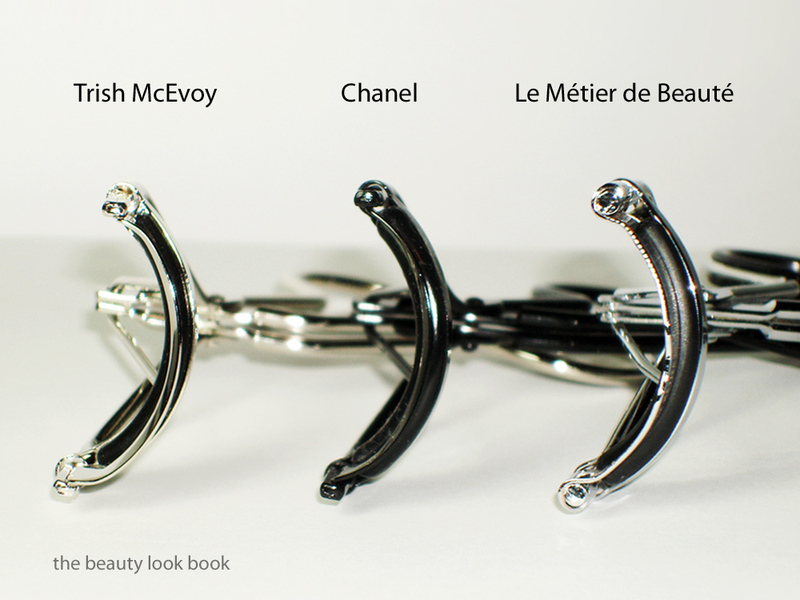 I’m not sure I would call it life changing for me, I prefer Chanel’s and Le Metier de Beaute’s eyelash curlers for my eye shape and for better curling (see my reviews here). Still this is a very good lash curler. I took it with me on a recent weekend getaway and was really pleased with the way it worked. Overall thoughts: I’m overall pleased with what I’ve tested from Charlotte Tilbury’s beauty line. I ordered all of my items sight unseen which many of you know can be hit or miss. Her quads are definitely worth a look even if you’re not a fan of glitter shadows. Had I been able to look at her line in person I probably would have skipped Uptown Girl and opted for one of the matte quads or something with warm tones. 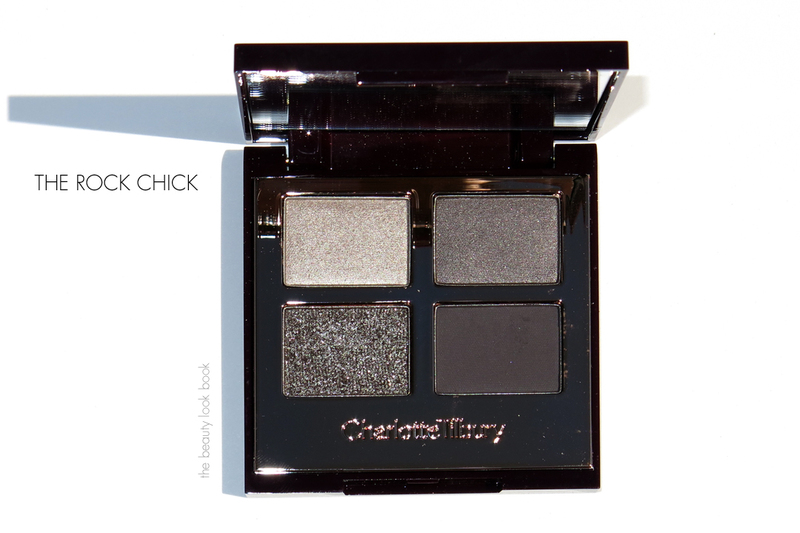 I really like The Rock Chick for a classic smokey eyeshadow palette. You can layer the colors for more intensity or blend them for something more subtle. For her shadow pencils, Amber Haze is absolutely gorgeous although you do need to work very quickly with it. Once it sets it stays put like nothing else I’ve tried. Champagne Diamonds was a complete miss for me, but this is because I’m super picky when it comes to glitter in eyeshadows. I can’t call her mascara a must-have for me – it came in two of the sets I bought otherwise I wouldn’t have purchased it (I gifted my second one to someone else to try). Her eyelash curler is a nice to have but not must-have for me. 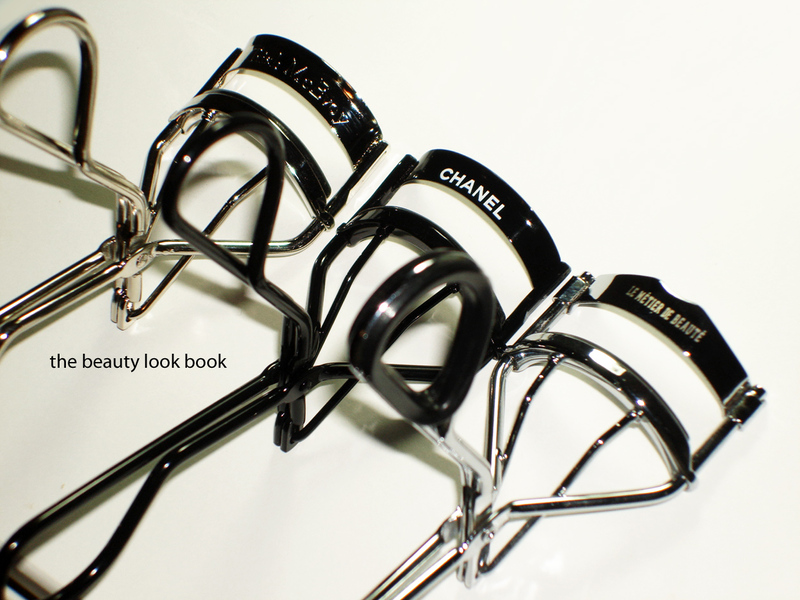 I do believe finding the right lash curler depends on the shape of your eye and how deep-set they are. This one has a nice curve and is wide enough so it doesn’t pinch the corners of your eyes. For me, I do have others that I prefer but the Charlotte Tilbury version is still good. 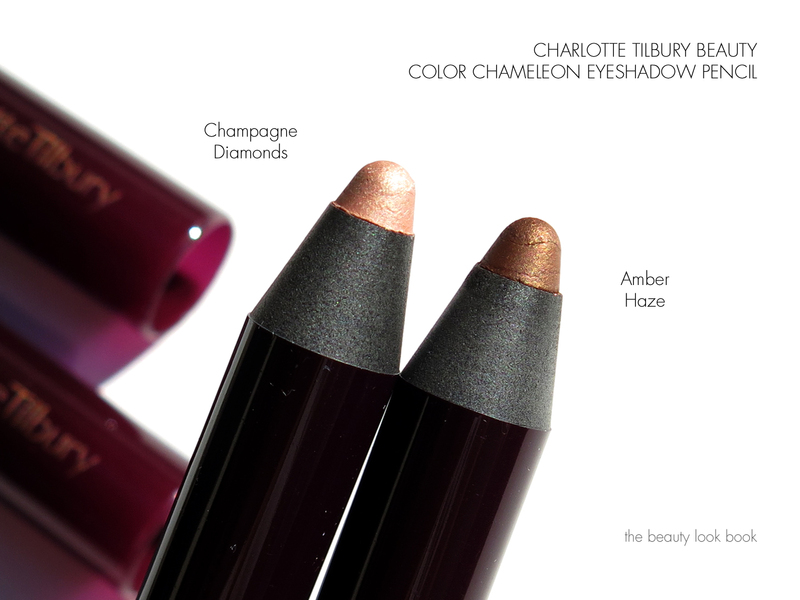 Have you checked out Charlotte Tilbury’s line? What are your favorites? Or any other thoughts on anything you’ve tried and tested? I don’t have easy access to see the items in person so I’m living vicariously through those who have tested and swatched it. You can find the Charlotte Tilbury beauty line in the US online at Nordstrom, Net-a-Porter, Bergdorf Goodman and Beautylish. The first eyelash curler I ever tried was from Revlon back when I was in high school and unfortunately it didn’t do much for my straight lashes. I was scared that I would accidentally pull out all my lashes so I didn’t try using one again until my college days when I had a Trish McEvoy makeup lesson at Saks. 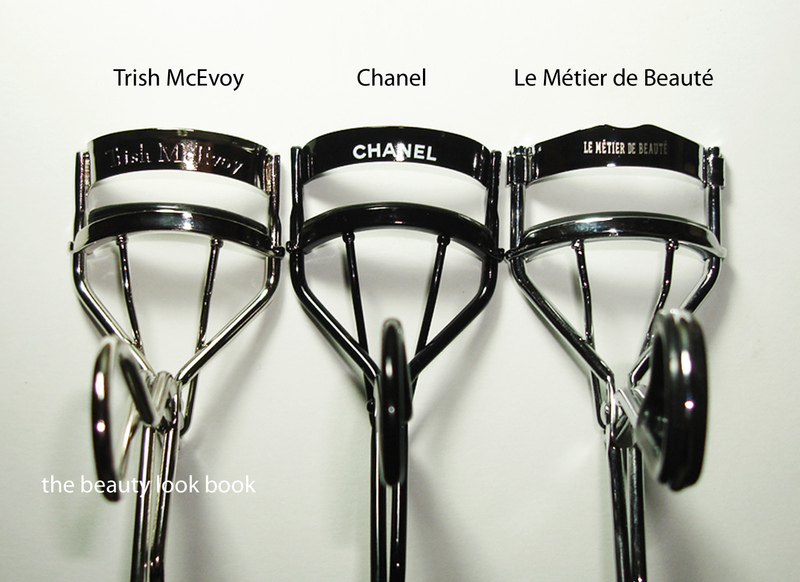 My first high-end eyelash curler purchase was was from Trish McEvoy and I’ve loved it ever since. I’ve since tried curlers from Armani, Chanel, Le Métier de Beauté, Shiseido and Shu Uemura (original and the individual). I would say all are good, but my top three favorites include Trish McEvoy, Chanel and Le Métier de Beauté. What I look for in an eyelash curler: I focus on the curve (how it fits my eye) and the density of the pads (I prefer something on the softer side but not too soft). I’m Asian without a crease in my lids. There is a curve to my lids but my eyes are not deepset. My lashes are very straight which makes them appear shorter than they are. I found Armani’s pad too stiff (making it difficult to get a good curl), Shiseido’s shape didn’t work with my eyeshape and pinched in the corners, Shu Uemura’s was good, I have no complaints yet I think there are better options. The individual eyelash curler was good in concept but impossible for me to hold in my fingers. Trish McEvoy’s Eyelash Curler ($18) is a silver colored curler that comes with 1 replaceable pad and is made in Japan. If this came with refills available for purchase separately this would be holy grail material. The Trish Curler has the best feel in my hands. I have small fingers and while most eyelash curlers are virtually identical in shape and size, I sometimes find it difficult to hold some because of the angles or size of the handles. The pad has a medium density which I find ideal for getting a consistently even curl on both eyes by applying slight pressure. The pads last quite a long time and clean easily. I’ve repurchased numerous times. I find the Trish method of application to be helpful (although it might seem like common sense to most): “Position the Eyelash Curler as close to the base of the lashes as possible. Gently squeeze for 10 seconds, then ‘walk’ the curler out along the length of the lashes, squeezing as you go.” I typically only squeeze for 4 seconds before releasing and moving the curler. I find curling the lashes in 3 sections helps get an even natural curl. 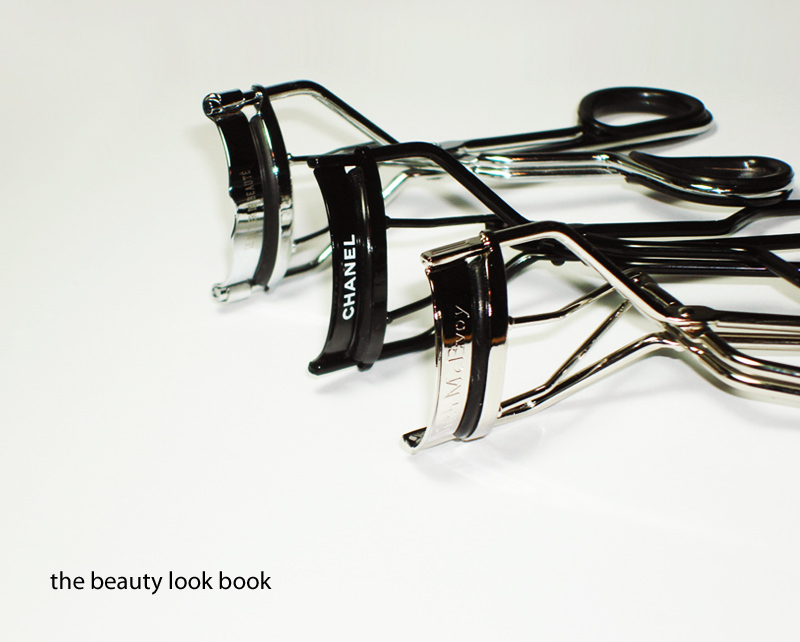 Chanel’s Eyelash Curler ($34) is one of the newest on the market for the US. It was released in Asia a year ago, is made in Japan, and comes with 2 replacement pads. The Chanel curler comes in all black and out of all the curlers I’ve seen, the Chanel has the sleekest most sophisticated look. It has a very similar feel to the Trish McEvoy with an almost identical curve. The Chanel pad is thicker and stiffer but not too stiff. The curler gives a very good curl. For me, there is just one problem. Having black lashes with a black eyelash curler makes it very difficult to see exactly what I’m curling. The dark color of my lashes blends with the curler no matter what lighting I use. This requires a magnified mirror for me to see what I’m curling. This isn’t too big of a problem though – if I start at the base of my lashes, I can see where to place the first curl and then work my way to the tips in three evenly spaced squeezes. Still I wouldn’t use this if I were in a rush, the Trish and Le Métier work just as well and I don’t have to look super closely to know what I’m curling. 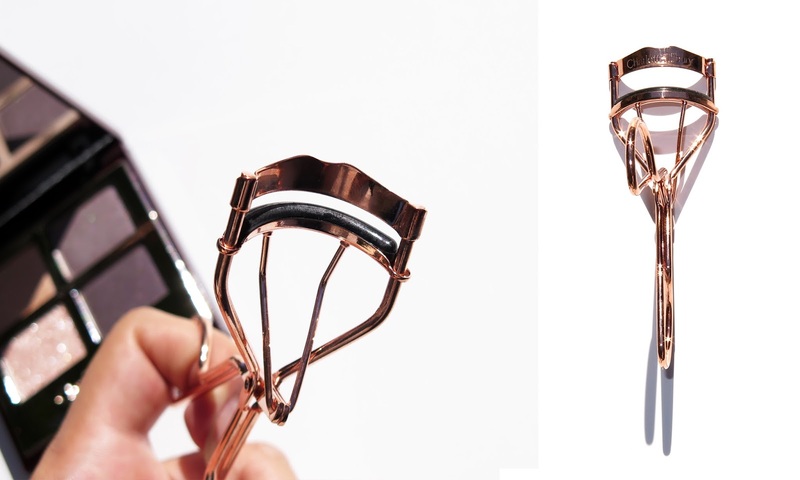 Le Métier de Beauté’s Eyelash Curler ($18) is finally available for sale at Neiman Marcus stores. For a while it was only available as a gift with purchase at various locations. This curler has the most curve out of all three that I’m reviewing in this post. It also has the softest most cushy pad I’ve ever tried. This was something I was not used to when I first tried it. Being softer I found that my first attempts gave me an uneven curl on both eyes as I was not able to apply consistent pressure. I was able to achieve a nice curl easier than ones with stiffer pads, but the result was uneven. After a bit of practice I was able to get used to the softer pad and have fallen in love since. A softer pad means that this curler doesn’t last quite as long. I believe a replacement pad is included. My general eyelash curler thoughts: I’ve been told that one needs to replace pads every 3-4 months and the actual curler every 9 months. I find the pads do wear down but am not always good about replacing consistently. I do clean after every 2-3 uses with makeup remover. For the actual curler, I’m equally bad about replacing. I’ve been told that the alignment of the hinges goes out after use which is why replacement pads are not sold for a number of brands. I always thought this seemed like a marketing scheme, but have noticed that replacing the curlers about once a year does make a difference when you compare a used one to a brand new one. 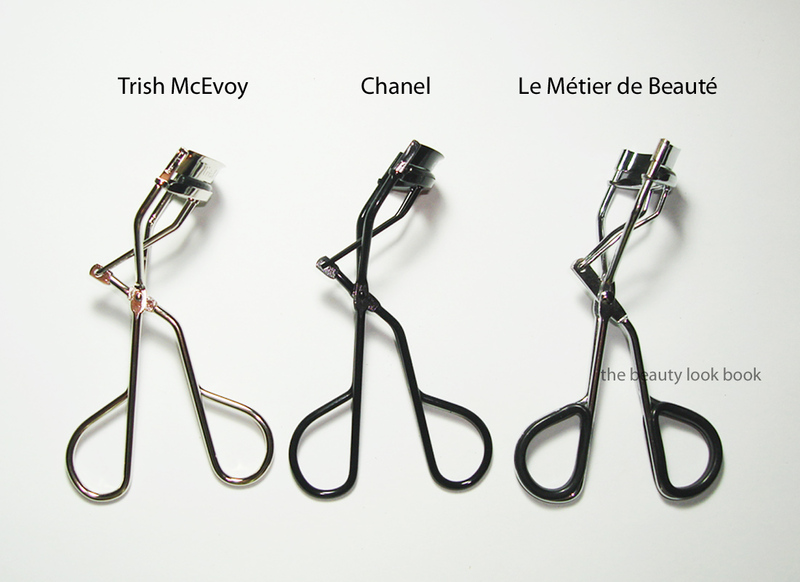 What’s your favorite eyelash curler? * Sponges – My fool-proof technique for applying foundation is to use an egg-shaped sponge, which allows for even application and control of the amount of coverage. The edges also allow for clean-up of smudges or fall out of powder eyeshadows. Sponges are also great for applying powder foundations, but most compacts come with their own. Refills are available from a number of lines. * Puffs – Larger puffs are nice for applying translucent powders to set foundation. (I clean mine in the washing machine.) Sometimes you can find the smaller versions in gift-with-purchase deals. * Facial Cotton/Q-tips – Shiseido Facial Cotton (found at Macys, Nordstrom, Bloomingdales, Sephora and other Shiseido counters) is a standby for me for removing makeup or fixing mistakes. Q-tips are also essential for removing smudges and getting those fine detail areas. * Eyelash Curlers – There are many different curlers out there, the type that will work for you will depend on your eye shape. I find that Shu Uemura and Trish McEvoy work the best for me. * Tweezers – My favorites are Anastasia & Shu Uemura. Tweezerman is good too, but I find it dulls after a while. The mini purple tweezers are from Nordstrom for their Anniversary Sale Beauty Exclusives. Trish McEvoy Lash Curler from the Trish McEvoy website, but also found at select Nordstroms, Saks, Bloomingdales, Neiman Marcus, Henri Bendel locations.